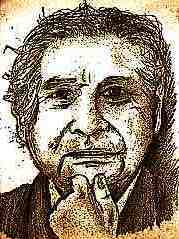 Octavio Paz is generally accepted as Mexico's best contemporary poet and essayist. He is often-quoted by lovers of his beautifully phrased, insightful observations on modernity. One of my favorite lines of his is, Life is plurality, death is uniformity. Heard that one? I thought so! I love Octavio's ideas on protecting the world from the homogeneity of cultures. I too believe we have a diverse range cultural perspectives too precious to be diluted by momentarily dominant cultures. Below is an excerpt from his acceptance speech for the Nobel Prize. What an incredible ambassador for Mexico he is. Hispanic eccentricity is reproduced and multiplied in America, especially in those countries such as Mexico and Peru, where ancient and splendid civilizations had existed. In Mexico, the Spaniards encountered history as well as geography. That history is still alive: it is a present rather than a past. The temples and gods of pre-Columbian Mexico are a pile of ruins, but the spirit that breathed life into that world has not disappeared; it speaks to us in the hermetic language of myth, legend, forms of social coexistence, popular art, customs. Being a Mexican writer means listening to the voice of that present, that presence. Listening to it, speaking with it, deciphering it: expressing it ... After this brief digression we may be able to perceive the peculiar relation that simultaneously binds us to and separates us from the European tradition. Unlike its 20th-Century counterparts, the Mexican Revolution was not really the expression of a vaguely utopian ideology but rather the explosion of a reality that had been historically and psychologically repressed. It was not the work of a group of ideologists intent on introducing principles derived from a political theory; it was a popular uprising that unmasked what was hidden. For this very reason it was more of a revelation than a revolution. Mexico was searching for the present outside only to find it within, buried but alive. The search for modernity led us to discover our antiquity, the hidden face of the nation. I am not sure whether this unexpected historical lesson has been learnt by all: between tradition and modernity there is a bridge. When they are mutually isolated, tradition stagnates and modernity vaporizes; when in conjunction, modernity breathes life into tradition, while the latter replies with depth and gravity.